Child support payments are regular payments from a supporting parent to a parent with the majority of the parenting time for the benefit of the child. Determining how much child support will be owed is often a source of contention in a divorce or parentage (paternity) matter. In Illinois, the child support responsibility of the supporting parent is generally determined by statute. At The Stogsdill Law Firm, P.C., in Wheaton, Illinois, we are experienced in handling child support matters and disputes. Our attorneys fight for our clients' rights, whether you are the supporting or receiving parent. When necessary, we have taken family law matters like child support to court, litigating aggressively on our clients' behalf. In addition, there are often disagreements over the true net income of both parents. 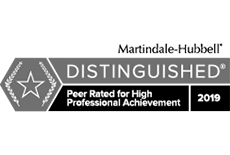 Our attorneys are experienced in handling these disagreements and in effectively advocating for our clients' interests and the interests of their children. Even after a child support agreement or award is in effect, you may still require child support representation. As financial and personal circumstances change over time, the child support calculation may need to be revised. For example, if the noncustodial parent gets a significant raise, the child support payment may need to increase to reflect the change in income. Making changes to existing child support arrangements typically requires a court hearing. When the supporting parent fails to pay his or her child support, legal enforcement action may also be required. Our firm offers skilled representation in child support modification and enforcement matters. If you are involved in a child support dispute or need assistance with a child support matter of any kind, contact us at 630-462-9500 to schedule a consultation with one of our experienced attorneys. 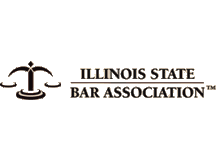 We will provide an explanation of what you can expect to receive or pay under Illinois law. 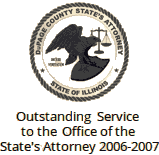 Our firm is located in Wheaton, Illinois, and we work with clients throughout DuPage County and the surrounding areas.